Notes: In the spring months of 2012, a unique exhibition was held in Chelmsford, the historic county town of Essex, detailing the history of the beloved Essex institution that was Essex Terror. This is a recollection of that remembrance, originally published on July 2nd, 2012. For reasons not yet explained to the public, Essex Terror was recently, and some would say misguidedly, the subject of a fairly well researched historical exhibition, containing, as far as my extensively trained eye could see, only two factual inaccuracies and no libellous assertions. Taking place in the Essex city of Chelmsford, a town so haunted no one there even dares talk of ghosts for fear of being overheard by a nearby ghoul of some kind and possibly causing offence. Below we have reproduced the restrospective as perfectly as this format allows. All that is missing is the complete version of the Moon Issue, due to the last surviving copy of it being too fragile to be photographed. 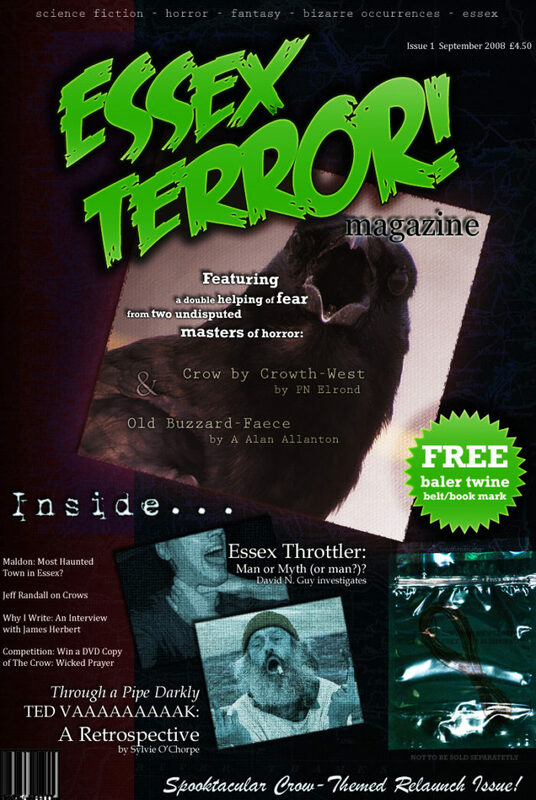 Essex Terror, possibly the most celebrated Horror (also Science Fiction, Fantasy and Local Interest) magazine this county produced during the 1990s, has had an influence far exceeding anything its short original run or meagre sales ever would have suggested possible. 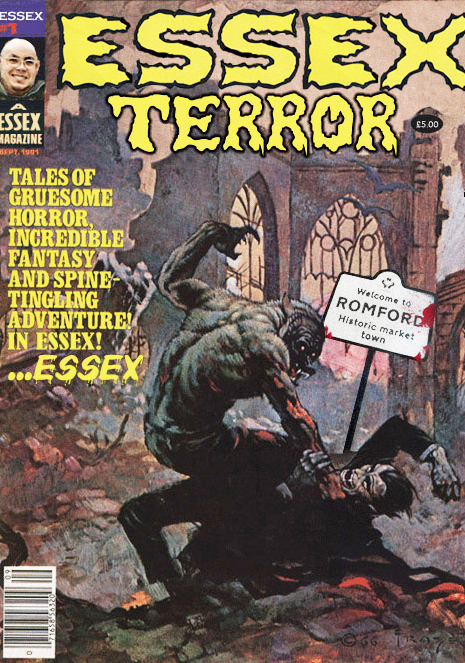 Cited by people as diverse as Neil Gaiman (“[L]argely forgotten…”) and James Herbert (“Their interview with me was the most unsettling experience of my career”), Essex Terror has proven to be as enduring as it was groundbreaking. This exhibition looks back at its past, the events which lead up to its past, its present day incarnation as essexterror.com and finally its hoped-for futures. 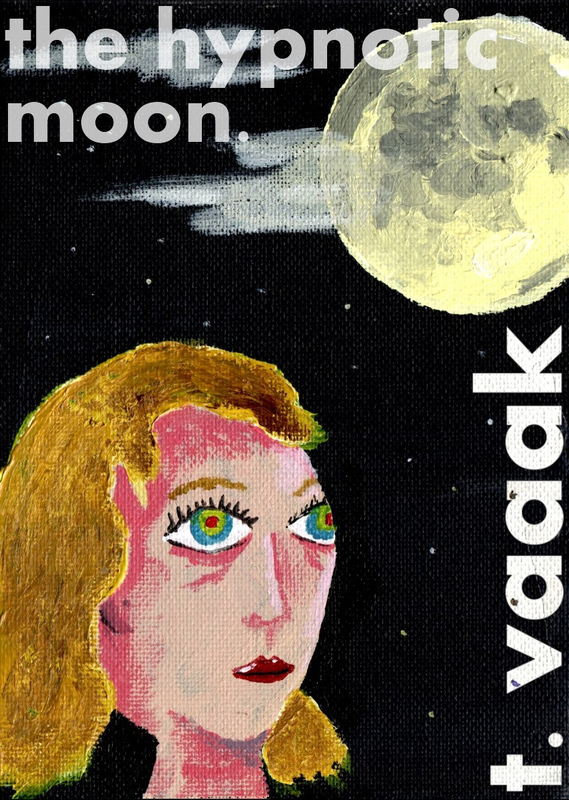 This exhibition would not have been possible without the kind help, assistance, permission and existence of The Ted Vaaak Foundation, Ted Vaak, David N. Guy, Ross Field, Thomas Morton, David N. Guy, David N. Guy, Raz Webster, Albin Stanescu, Jeff Randall, Peter Bradshaw, Jack Chick and, of course, the people of Essex. Over the years, Essex Terror Magazine has gone through three major incarnations, at least in print. The original run of the magazine, and the one most closely associated with editor, proprietor and major storywriter Ted Vaak, lasted for a mere 12 issues over the course of a single year (starting in July 1989 and ending in June 1990). For Ted, this was to be the beginning of the end of his involvement with the traditional print industry, turning his attention occasionally thereafter to the nascent online world, culminating eventually with the creation of the ESSEX TERROR! website in 2009. 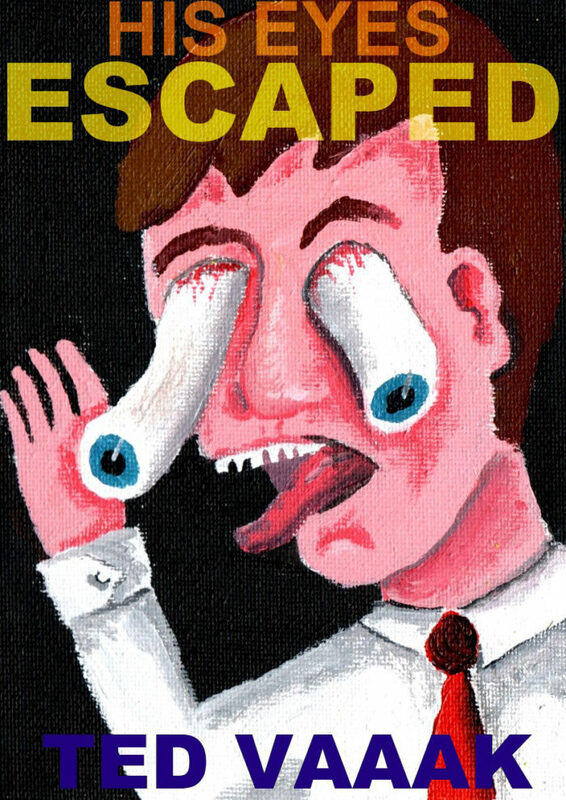 After the initial high profile success of Essex Terror in south-east England, opportunities arose for an offshoot magazine in America. Despite his refusal to enter their country, the publication and editorship of the first issue of The American Essex Terror was overseen with an iron fist and an even more iron stare by Ted Vaaaak himself. His demands even extended to insisting the price on the cover was printed with a £ rather than a $, reputedly because he was still furious at the country for once selling him a typewriter without a pound sign while he was there as a junior reporter for the Southend Echo in 1946. This he considered his revenge. Ted’s work with The American Essex Terror ended soon after the first edition hit the shelves in 1991, and in subsequent editions, after its poor sales were blamed on confusion among customers in the US over the price, the pound sign was replaced with the more familiar dollar sign. Around this time, the words Essex and Terror were also dropped from the title, and The American replaced most of its horror and science fiction content with patriotic war cartoons and heartwarming stories of xenophobia and well-founded distrust. In 2007, after a 16-year break that had seen most of its original readership achieve adulthood, Essex Terror returned once more to the newsagents. The relaunched ESSEX TERROR! 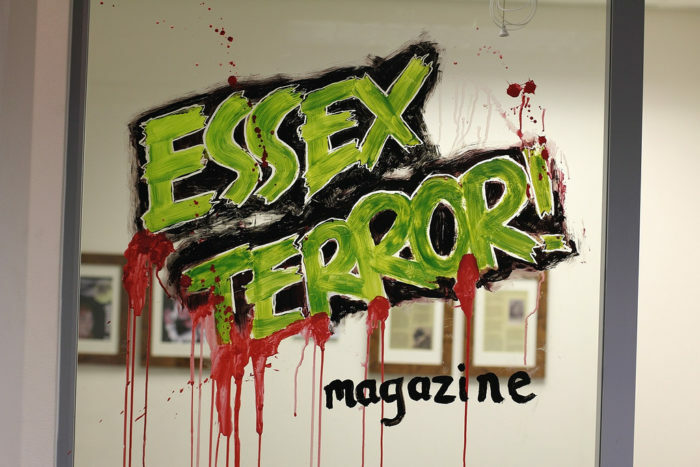 could not reach an agreement with the rights owners of the original Essex Terror, however, so an exclamation mark was added and a switch to capital letters was made to distinguish the titles. Because of this, and the ongoing litigation that has since arisen, the new magazine, the current website, and even Ted Vaaaak himself are considered unofficial and “non-canon” by longtime purists. Although the ESSEX TERROR! magazine itself was not a great success, the accompanying website was considered cheap enough to continue publishing, and since then over 60 articles have been published at a rate of almost one a month. 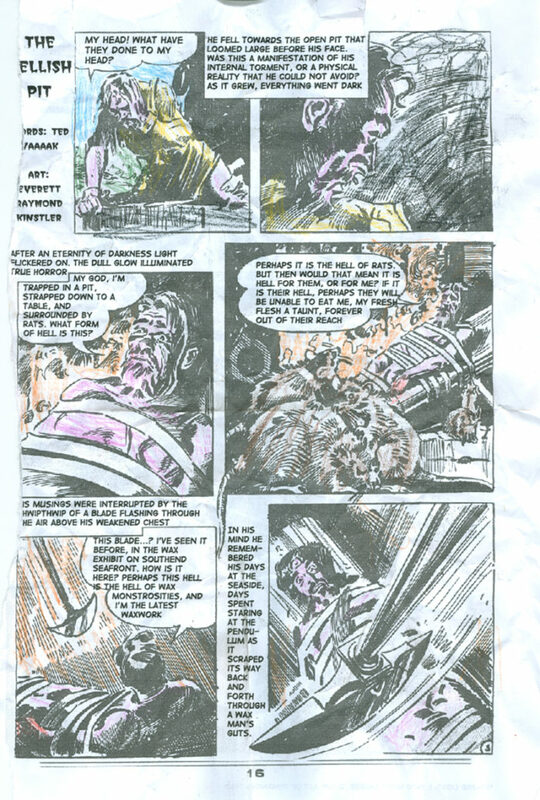 The controversial Moon Issue (Essex Terror #4, published in October 1989), was to prove disastrous for both Essex Terror and Ted Vaaaaak. The issue, heavily advertised – sources once close to Ted claim he spent over £5,000 in Witham alone – and eagerly anticipated across the county, was to prove an astonishing disappointment once it actually arrived. Readers were aghast at its meagre 16 pages, each one containing an identical illustration of the moon and a single line of text. 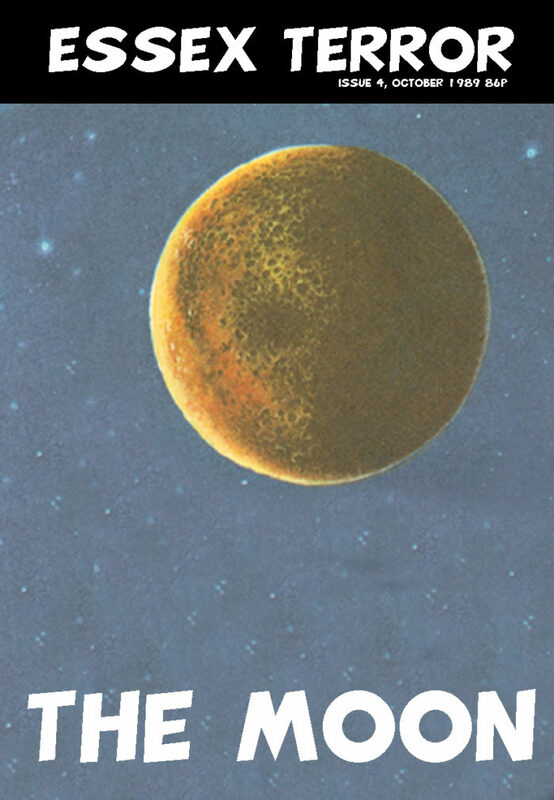 The text, telling a particularly incomprehensible and shoddy story of interest to no-one, was seen by many to be the gravest insult, ruining as it did each perfectly good picture of the moon. In the wake of this disaster, readership and sponsorship fell, Essex Terror’s budget was slashed by its publishers, and the magazine’s eventual demise was assured. Ted Vaaak was forced to resign, and although replacement editor David N. Guy and senior writer David N. Guy (no relation) did their best to hide the decline in budget (including colouring each issue by hand as the budget no longer stretched to cover the cost of colour printing), the magazine limped to a close just 8 issues later. Issue #12 (published in June 1990) was to be the last anyone heard of Essex Terror for almost 15 years. 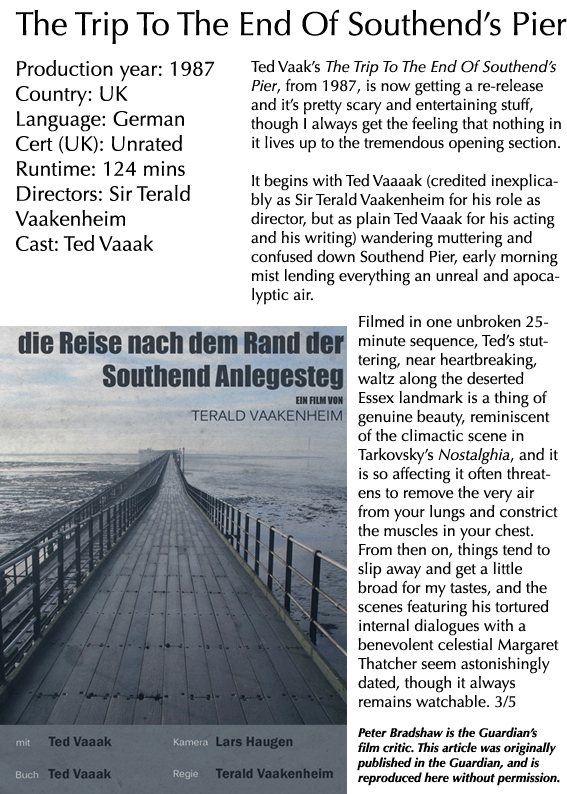 Ted Vaak (born Terald Cirencester Vaaak in 1928) was a writer, film-maker, editor and magazine proprietor, based primarily in Essex, England, most famous for his work on science fiction and horror title Essex Terror (1989-1990). His early work was mostly confined to the magazine market, where he worked on an ever-changing roster of local interest and genre fiction magazines, both as a freelance writer and, often, as editor, publisher and advertiser. Between 1946 and 1969, Ted Vaaak worked on, edited, owned, or was otherwise involved in, an astonishing 287 different titles, ranging from such tepid fare as Mundon Parish News and Steeplejack!, to more exciting publications like Truly Criminal, Bloody Terror and Ghosts Of Old Leigh. In the 1970s, Ted achieved possibly his most consistent success with a series of haunting science fiction, horror and existential sadness books for now-defunct Romford publisher Alan Books. At the time, Ted’s insistence on the plot of each of his novels being explicitly stated in title, as well as explicitly illustrated on the cover, was considered deeply unfashionable, but his publisher agreed to it on the condition that Vaaak would refrain from entering the premises. By the 80s, this system of explanatory book titles and covers was the industry standard, but unfortunately for Ted’s sales it was too late, and he turned his attention to film. His film work, now lost, was said by some to be horrific. 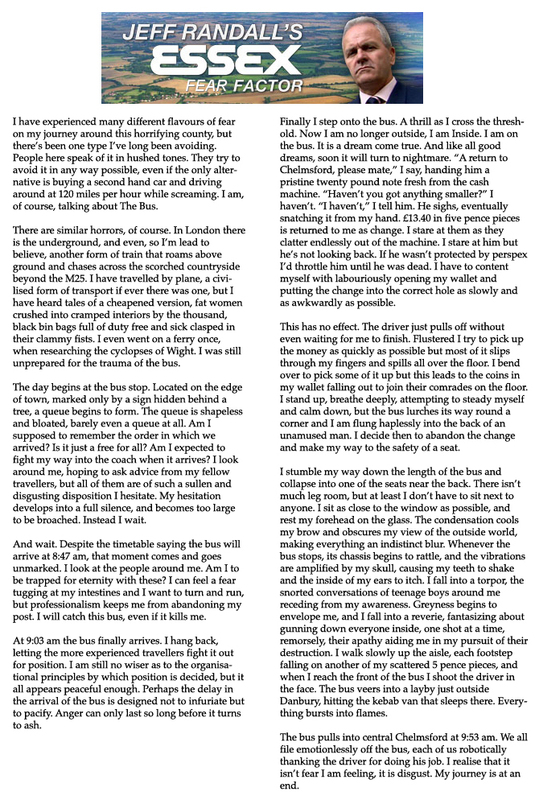 After a brief turn as editor of essexterror.com in 2009, Ted Vaak retired from public life in 2010 and has resisted all efforts at contact regarding this exhibition. After the collapse of Essex Terror, Ted Vaaaak retreated from the public eye and turned his attentions to his greatest passion, the history and myths of his beloved Essex. 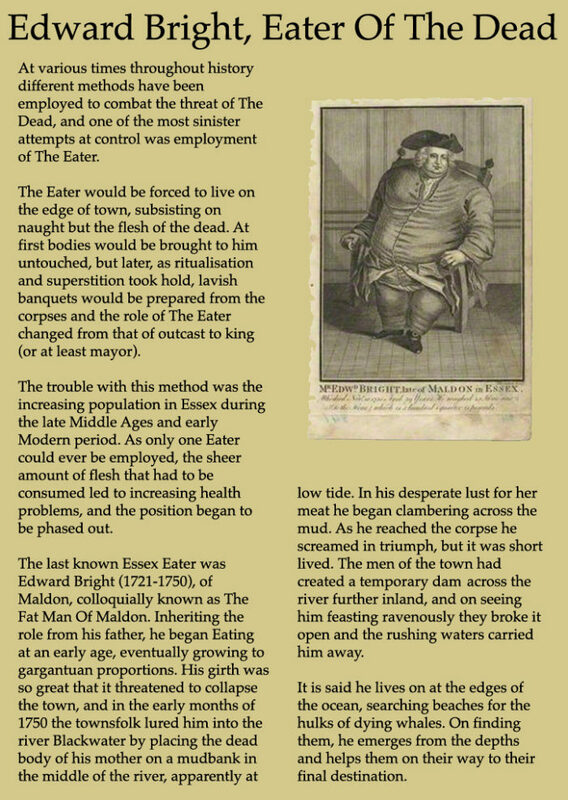 The Essex Bestiary – a work of impeccable scholarship that earned him a PhD in the Folkloric Arts from the Maldon Evening College – gathered over 700 disparate tales of Essex beasts, monsters and men, painstakingly sourced from texts and oral testimonies, and brought them together in a single easily accessible volume. 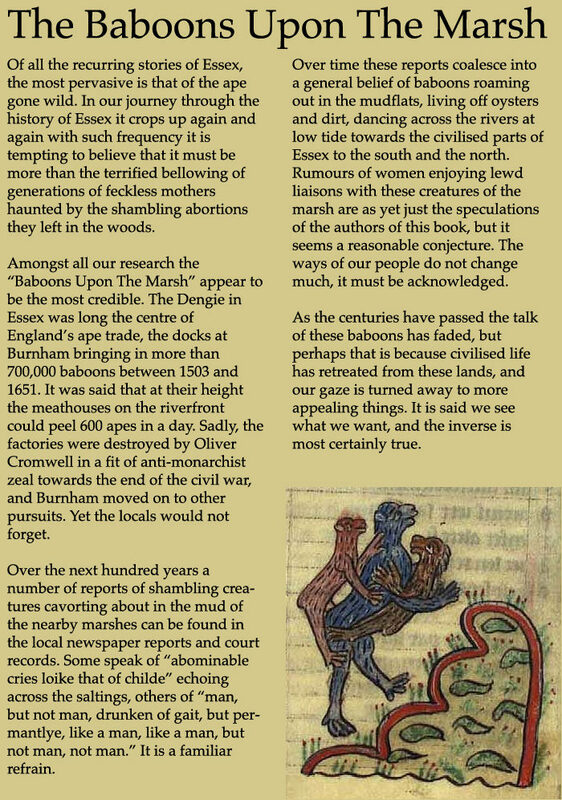 Out of print since 1995, The Essex Bestiary is likely to be Vaak’s most enduring legacy. 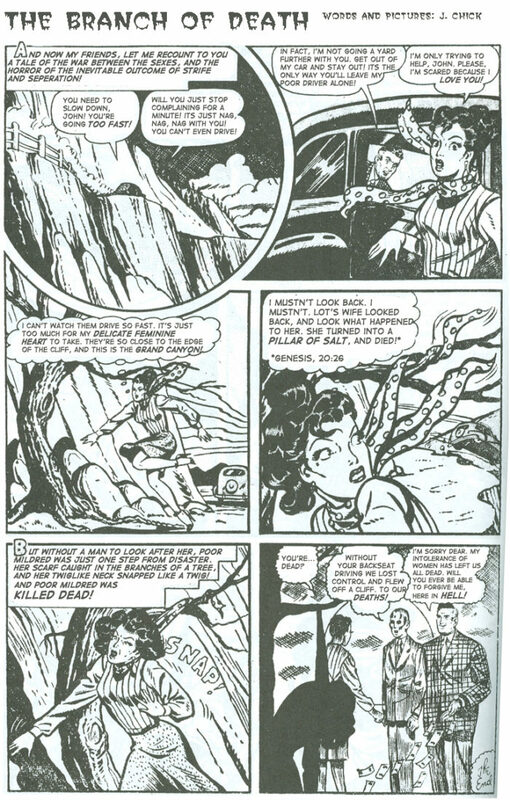 One of the genuine curiosities in Ted Vaaak’s career is his close friendship and numerous collaborations with noted religious comic artist and author Jack Chick. Jack Chick’s conversion to evangelical Christianity is said to have occurred while on a trip to Ted’s temporary home in Stow Maries in 1959, and they were never to be reconciled. 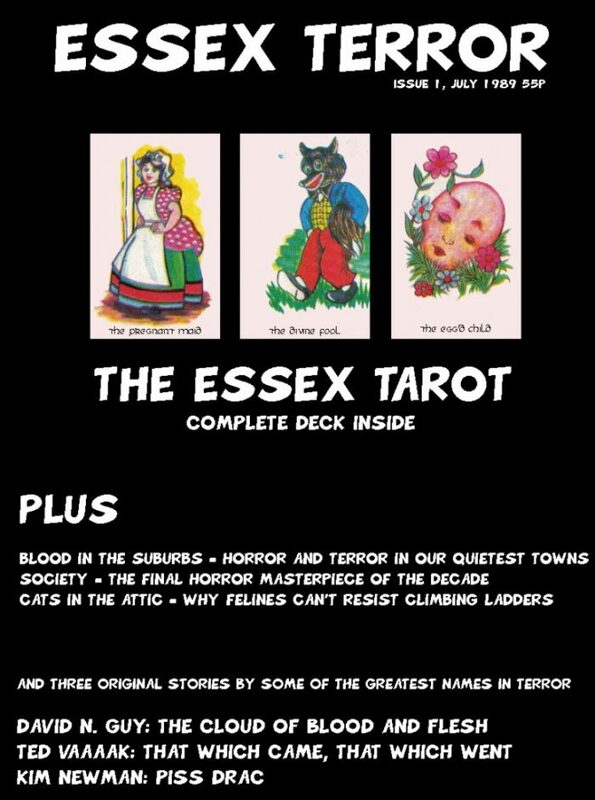 When the latest installment of Essex Terror was launched in 2007, every effort was made to help the new magazine, and latterly website, stand out in the crowded Essex-based horror, occult and ghost-hunting market. After a lengthy debate on the best strategies for growth, visibility and market penetration between new editor Ross Field, illustrator David N. Guy (no relation to the David N. Guy who edited the original Essex Terror nor the similarly named assistant lawyer and colourist on the aforementioned publication) and freelance marketing consultant Ted Vaaak, the decision was made to hire a steadily expanding roster of celebrity columnists, reviewers and soundtrack artists (the latter to take advantage of the freedoms the internet medium allows). So far it has proven to be a great success, with a minimum of 100 unique readers for every article published to date. What Next For Essex Terror? What lies ahead for Essex Terror is difficult to predict, but one thing that can be certain is that it will continue to take advantages of all that the 21st century and its inevitable advances in technology can bring. Not content with just utilizing the internet, Ted Vaaak is said to have ambitious plans for moving into the mobile arena. Indeed, Ted has reportedly created an Essex Terror iPhone app that makes a user’s phone “bleed” (in reality, the seepage is a mixture of condensation, rust and battery acid) while in use. It is currently awaiting approval from Apple before its hoped for release on their store at the end of the year. Beyond that, predictions become harder. Attempts to break into the competitive ghost photography market have so far proven fruitless despite investment in a variety of cameras, and however powerful Ted’s dreams of the moon are it is unlikely to bring it any closer to his reach. Whatever is to come, however, we can rely on it continuing Essex Terror’s proud tradition of terror, fear and perplexment in all those that it encounters.